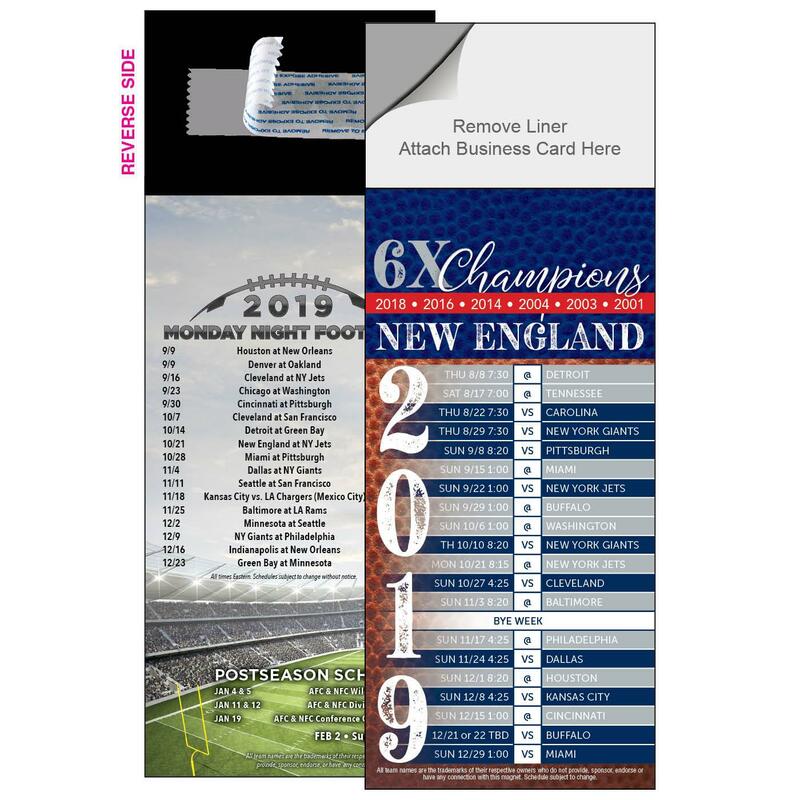 Need Magnetic Football Schedules in a flash? Choose from our collection of QuikShip Peel 'n Stick schedules, available for select cities only. Starting in late May when schedules are finalized, these will ship from our facility within 48 hours of purchase. Simply adhere your own business card to the magnet topper for a budget-friendly marketing piece.